Many businesses know what they need in terms of a custom software development solution, but they aren't sure how to make it or how to tackle such a project. 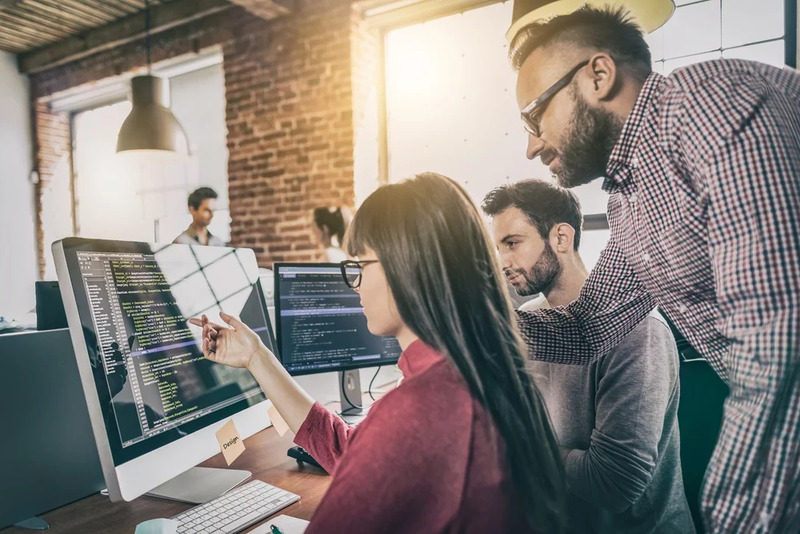 If you're struggling with how to get started finding a custom software development partner, here's an overview of the key points you need to know. Although it can be tempting to start talking to companies right away, it's important to do some research beforehand so you're better prepared for the conversations. This prep work can generally be divided into two categories: external and internal research. To begin with, check out companies' websites to see what services they offer. Look for their work history in the form of testimonials and portfolios. In particular, case studies can help you see how a company helped someone with problems similar to your own. If you would prefer not to use offshore developers, there are usually a few clues that you can look for. For example, companies that are vague about the technologies they use are more likely to be outsourcing. In addition, many offshore companies won't list an address or phone number, but only a contact form for you to get in touch. Doing research away from companies' websites is also very worthwhile. Reading third-party reviews can be helpful, but it's often difficult to know where they come from, especially if they're anonymous—they could be written by the company itself or by a competitor. If a company mentions working with a particular client in its portfolio, it's a good idea to verify that the project was completed by checking out the client's website. Before you start talking to companies, you also need to do research internally about the project itself so that you have a better understanding of what you need. If you go into the conversation completely blind, you won't know if you're being led down the wrong path. For one, you absolutely need a list of the project's requirements and specifications that you can provide to potential partners. Ask your internal departments what their pain points are and what their ideas for saving time or reducing errors are. You should also do research about realistic budgets and timelines for the type of project you're looking for, and perhaps also about how long it might take to see the return on your investment. Is the work done in-house? This is especially important if you want to work in close collaboration with your software partner. Do you have time for new projects? If you need to get started right away, then find a partner who's not completely booked for the next month. Will we have access to the development staff? Being able to speak directly with developers can help efficiency and productivity, but it isn't always an option. When are you available during the week? If you're working on your startup outside of business hours, for example, you may need someone available after 5 p.m.
Who will be our point of contact? Having someone at the company who's accountable for your issues is important so that you can receive guidance when you run into a problem. Do you have experience doing this kind of project? If not, ask the company to convince you that it will still able to complete it successfully. What are your security standards? The company should be using modern technology and the best IT security practices to help avoid data breaches. Communication and listening. The company should hear your story and demonstrate that they feel your pain and understand your problems. This means engaging with you and offering new suggestions and perspectives. Experience. You should feel reassured that you aren't going to be treated as an experiment or test subject. Especially for projects that are large or security-conscious, you need to find a partner with related experience and a history of satisfied clients. The right processes. Your choice of partner should help you understand how things are done and what will be delivered throughout and at the end of the partnership. The company's development philosophy and culture should mesh well with yours. Realistic expectations. Instead of a company that promises you the stars, look for a partner who can provide a little pushback. A company that says it can put your website on the first page of Google search results or make it impossible to hack is almost certainly overselling it. Unless you know your project so well that you can do it yourself, you probably have some assumptions or expectations that need to be corrected. If you're ready to take the next steps in finding a custom software development partner, SYDCON is here to help. Schedule a consultation with us today so that we can discuss how to move forward from here.